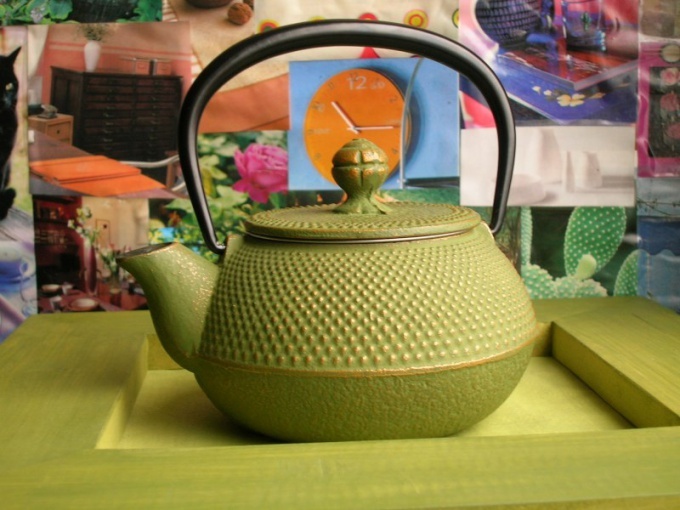 The teapot is truly an iconic piece of kitchen utensils. The whole family gathers around the table during tea. In addition to sweet taste substances, tea contains dyes and biological pigments, through which the drink gets its color. When brewing tea the dyes are fixed on the inner surface of the teapot. To clean the kettle is not difficult, but if you leave it unwashed for a time, to remove the dark coating will be more difficult. To wash the tea with the teapot in the dishwasher, to do this, place the kettle in the machine, add the detergent (this can be a special preformed tool or a detergent in powder or liquid). To set the desired temperature, and in the end you get a clean kettle tea without the nasty residue. For cleaning manually can use as a liquid detergent for washing dishes and powder, but not containing abrasive substances, to avoid scratching the surface of the kettle. Wash the tea can be a special chlorine-containing means. For this small amount, apply to a sponge, thoroughly clean the outer and inner surface of the kettle, means leave on for 10 to 15 minutes, then rinse under running water. To clean the kettle using baking soda. In a separate Cup, make a paste of baking soda and water. Sponge podcherpnul a little slurry, scour all contaminated sites. Well wash the plaque is a mixture of baking soda (4 tablespoons) and white vinegar (1 Cup). Take a large saucepan and boil water in it. When the water begins to cool, add the soda and vinegar. The water will begin to foam (this soda and vinegar reacted to each other). Submerge your pot in the pan and leave for a few minutes. Then thoroughly rinse in large amounts of clean water. If the metal kettle, you can boil it in Coca Cola or sprite. They will clean the kettle from the RAID. Another tool that requires boiling: fill the kettle with water, squeeze or two of lemon, leave overnight, boil. If the kettle is not a metal, it is possible each time after tea to put in a few slices of lemon and Bay of boiling water, leave for a few hours. Wash the teapot will help fine salt. To do this, dip a damp sponge in salt and cleaned the inside and the outside. To clean plaque in hard to reach areas of the kettle, it is recommended to completely soak the kettle in a solution of baking soda or citric acid. Well clean the spout of the teapot q-tip with a slurry of ash. You can also use a small brush for washing children's dishes.